Bangkok is South East Asia’s capitol of wine and dine, with so many options to choose from, here at Heaven Bangkok is no different. 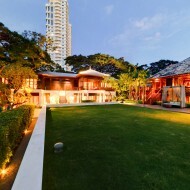 Four floor complex of dining and entertainment. 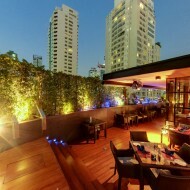 There are 2 restaurant and 2 bars; Zense Gourmet deck serve five types of cuisine from 5 well known restaurants. 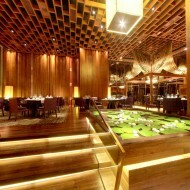 Shintori is a Japanese restaurant franchise serving elegant Japanese cuisine. 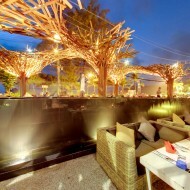 Horizon a Tapas bar with DJ both equipped with state for the art sound and lighting system. 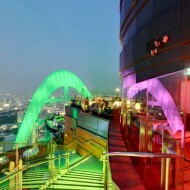 Heaven on Zen is a champagne bar that offers spectacular views of the city. Actually all the outlets have outdoor seating provides amazing view of the city.